The Tour de Perris bike ride was created as one of several events to celebrate the City’s centennial anniversary in 2011. 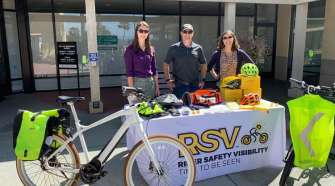 Expecting only 100 riders for the inaugural event, the City was overjoyed when 350 registered riders from all over California and out of state descended on Perris to take part in the Tour de Perris. 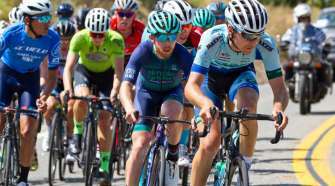 With such resounding success, City officials decided to make the Tour de Perris into an annual event to take place the first weekend in October, with the 2014 edition taking place October 4th. 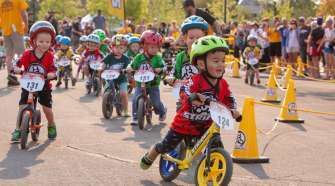 Several events will be held throughout the day on the City Hall campus and will include music, food, youth activities, games and raffles open to riders, their families, and the public. The 2014 Tour de Perris event will be held on the City Hall campus, 101 N. “D” Street, on Saturday October 4, 2014. There will be an 8 mile family ride; 30 mile, 62 mile, and 100 mile bike ride. Those who register for the 62 mile and 100 mile will receive a fee jersey, with lunch for the 62 and 100 mile participants at Falkner Winery in Temecula. A medal will be provided to those that participate in the 30 mile, 62 mile, and 100 mile bike ride. For more information please visit the Tour de Perris web site or you may contact Rebecca Miranda at 951-943-5003 ext. 496.